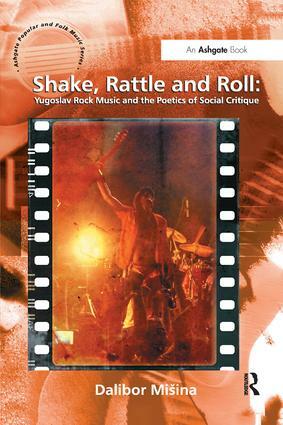 From the late-1970s to the late-1980s rock music in Yugoslavia had an important social and political purpose of providing a popular cultural outlet for the unique forms of socio-cultural critique that engaged with the realities and problems of life in Yugoslav society. The three music movements that emerged in this period - New Wave, New Primitives, and New Partisans - employed the understanding of rock music as the 'music of commitment' (i.e. as socio-cultural praxis premised on committed social engagement) to articulate the critiques of the country's 'new socialist culture', with the purpose of helping to eliminate the disconnect between the ideal and the reality of socialist Yugoslavia. This book offers an analysis of the three music movements and their particular brand of 'poetics of the present' in order to explore the movements' specific forms of socio-cultural engagement with Yugoslavia's 'new socialist culture' and demonstrate that their cultural praxis was oriented towards the goal of realizing the genuine Yugoslav socialist-humanist community 'in the true measure of man'. Thus, the book's principal argument is that the driving force behind the music of commitment was, although critical, a fundamentally constructive disposition towards the progressive ideal of socialist Yugoslavia. Dalibor MiÅ¡ina is Assistant Professor of Sociology at Lakehead University in Thunder Bay, Ontario (Canada). His research incorporates the areas of sociological theory, media, popular culture, social transformations and change, and globalization.